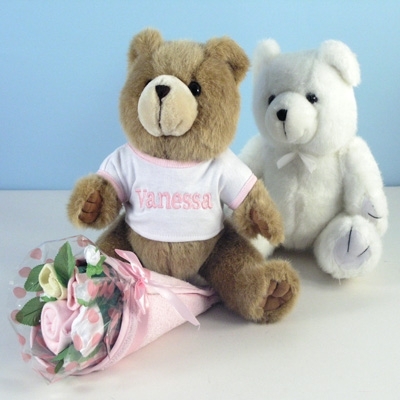 Welcome the new baby girl with our Bear Bouquet Personalized Baby Gift. 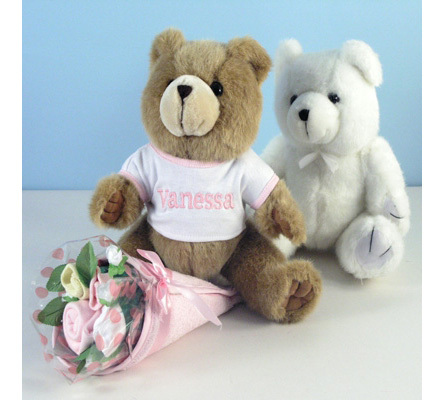 Attractive and reasonably priced, the new parents will love seeing their baby's name on this cute teddy bear and will treasure it for always. 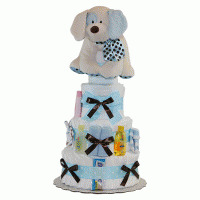 The gift includes an adorable layette bouquet made out of 4 washcloths, socks, and a t-shirt. 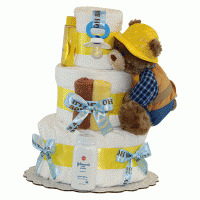 The bear is available in either white or brown (your choice) and comes wearing a t-shirt with baby's name beautifully embroidered on front. 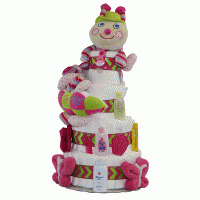 Names of up to 12 characters can be accomodated.